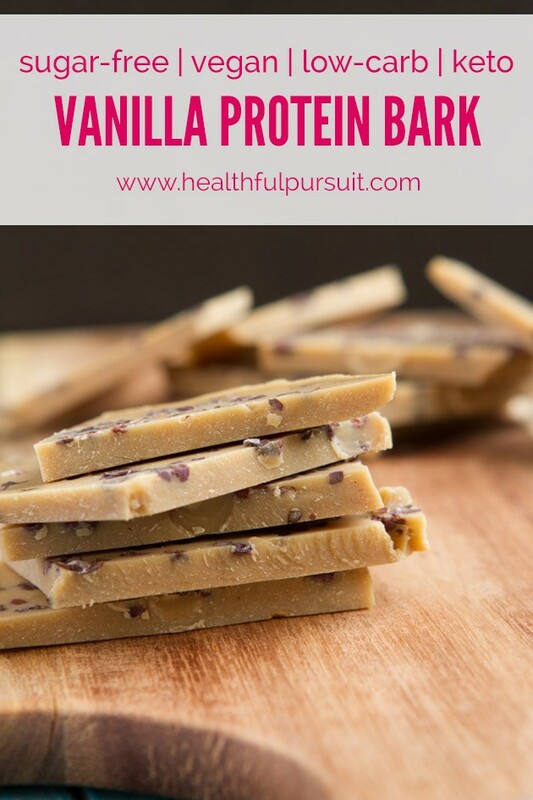 A sugar-free, nut-free, dairy-free, keto vanilla bark recipe with a perfect combination of fats, fermented proteins and fiber to put a stop to endless hunger. This post is not about overdoing the protein. Even though I’m using protein powder in today’s recipe, it’s not in large quantities. Today’s protein powder-based keto recipe includes just enough protein powder to do what protein does best: help us reach satiety, while balancing our satiation with taste, texture and a healthy dose of fats. Fats + protein = the key to stopping endless hunger. You’ve told me that you needed a high-quality, low-carb, keto, soy-free protein powder option. 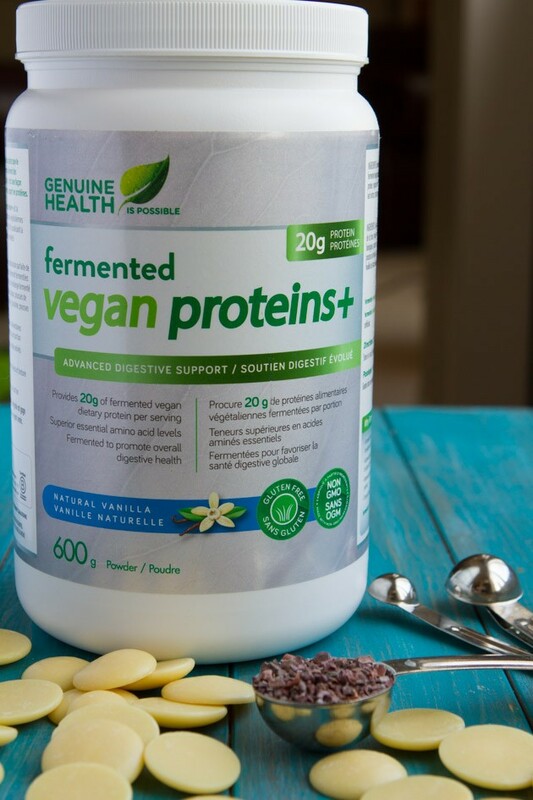 I was on the lookout for nearly 6 months before I found low-carb and keto-approved Genuine Health’s fermented Vegan proteins+. Sorry for the delay. 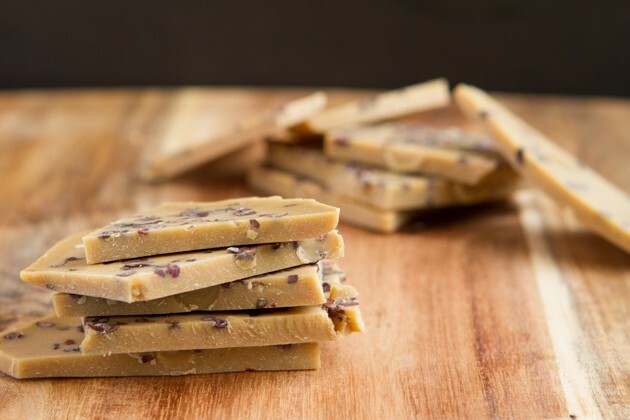 If you’re open to using grass-fed collagen as your protein source, it’s fabulous in this sugar-free, dairy-free, keto bark recipe. I had initially ruled out Genuine Health fermented Vegan proteins+ during the search because it contains grains (brown rice and quinoa), but came back to it when I learned that fermentation positively affects the digestibility and amplifies the absorbability of protein powders – specifically if you’re sensitive to grains, like me! This vegan, low-carb, keto protein powder is the only of its kind – a fully fermented protein powder that eliminates the digestive complications that other plant-based protein powders introduce. Because Genuine Health’s fermented Vegan proteins+ powder is keto and low in carbohydrates, it’s also low in fiber, meaning it isn’t gritty… making it a fabulous addition to recipes where a smooth texture is your end goal! Case in point, with today’s keto recipe, we don’t want a fibrous bark! 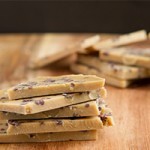 We want it smooth, with a luxurious texture for this keto bark. The amount of net carbohydrates in one serving of fermented Vegan proteins+ is only 1g in the unsweetened, and 2g in the vanilla flavor. Practicing intermittent fasting? This keto-friendly bark recipe is great to snack on while you’re becoming fat adapted. Enjoyed any time of the day, it can train your body to rely on fats as energy instead of sugars! Watch: What To Expect When You Go High-Fat or Keto. 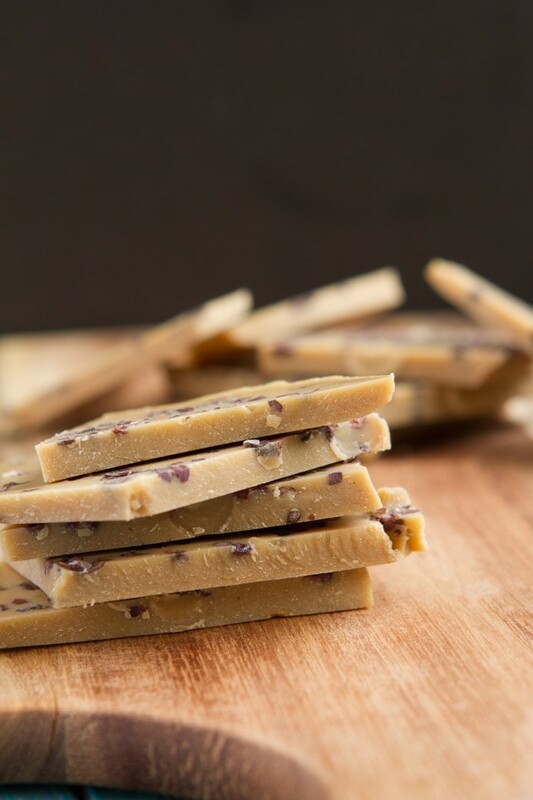 A sugar-free, nut-free, dairy-free, keto vanilla bark recipe with a perfect combination of fats, fermented proteins and fiber to put a stop to never-ending hunger. 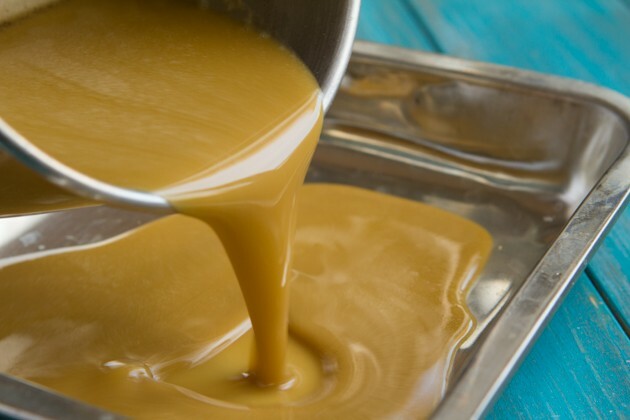 Place cacao butter and extract in a small saucepan. Melt over low temperature. Once fully melted, remove from heat and add in protein powder, nut or seed butter and stevia. Whisk to combine. 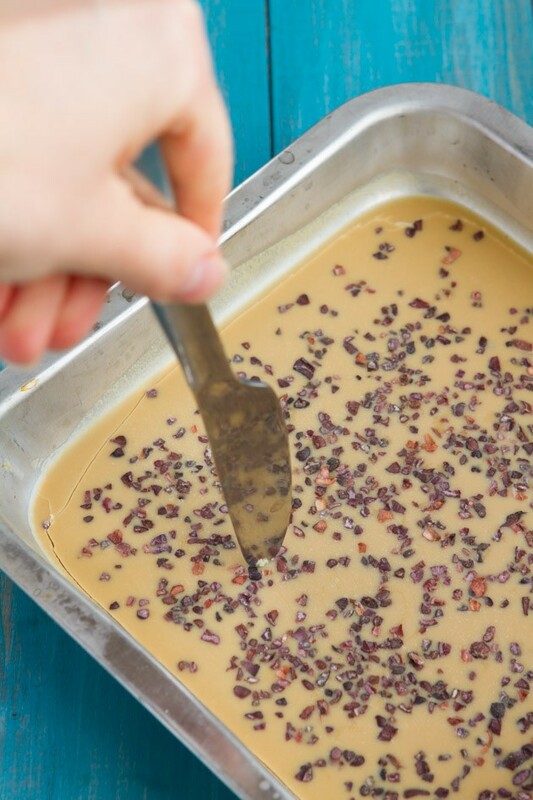 Pour into a 13x9 glass pan (no need to line the pan); or one of your choice, and top with a sprinkle of cacao nibs. If you want to make this recipe more portable, you could use a silicon mold like this animal silicon mold. Transfer to the freezer for 30 minutes to harden. Once hardened, break with a knife into 20 pieces and enjoy! Serving size = 2 pieces. To store, place in an air-tight container and place in the freezer for up to 3 months. 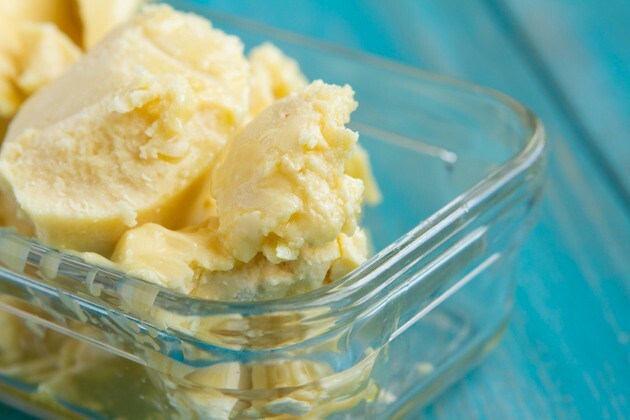 Cacao Butter: Could be replaced with coconut oil, however the end-product wouldn't be as solid. 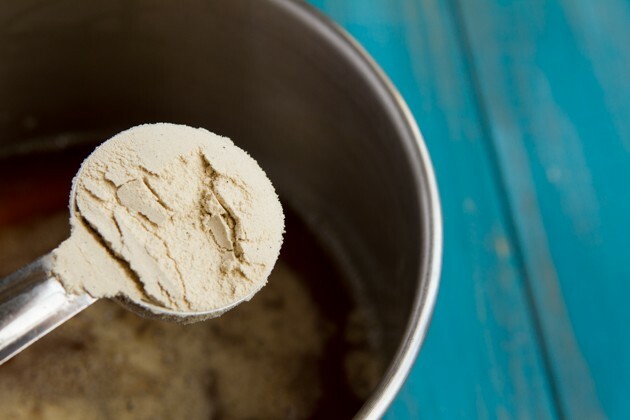 To make Paleo or Grain-free: replace protein powder with an equal amount of grass-fed collagen. What I love about using keto-tastic cacao butter wafers is that I don’t have to melt the cacao butter before using it in a recipe. What’s cacao butter? It’s the (caffeine-free) fat from chocolate. If you’re going to give this keto ingredient a whirl, look for “cacao” not “cocoa”. Now for the good part – add the low-carb, keto vanilla Genuine Health fermented Vegan proteins+ along with all of your other keto ingredients. If you decide to make this keto recipe with anything but Genuine Health fermented Vegan proteins+, make sure to look for a protein source that’s low in fiber so that it mixes well. Grass-fed collagen would work. However, this option is not vegan. You can use any pan you have handy. I recommended a 13×9 glass pan to make your life easier! I ended up splitting this recipe into two 6×6 pans because I didn’t think to use my 13×9. Top with cacao nibs and place in the freezer. The great thing about using cacao butter for this keto recipe is that the end product will actually be hard, and stay hard, even at room temperature. Have you been searching for a low-carb, keto, vegan, high-quality, digestive-supporting protein powder? Do you think Genuine Health fermented Vegan proteins+ could meet your needs?